The latest entry in the Resident Evil game series, Resident Evil 7, brings back the exploration and puzzles style of gameplay, even though it has first person view. Check out the Easter Eggs and Secrets hidden in the game. The most famous phrase of Marvel Vs. Capcom of the song I WANNA TAKE YOU FOR A RIDE is said in Resident Evil 7. During the first fight against Jack Baker in the garage, the protagonist goes through this exact situation. While Ethan Winters is in a car, trying to get rid of Jack, the man gets into the vehicle and invites him: "I'm going to take you for a ride," quite sarcastically and reminiscent of the celebrated music. 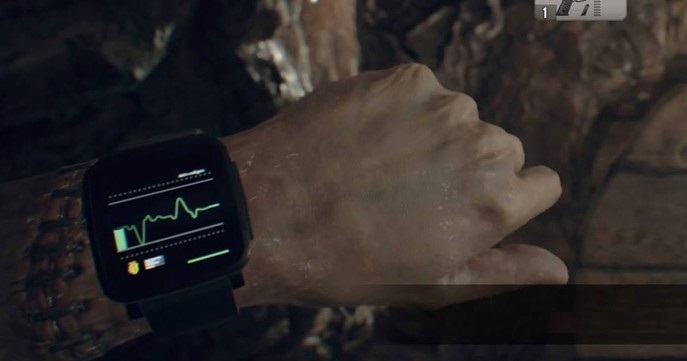 Pebble, a company specializing in smart watches, was recently shut down, but it still appears in Resident Evil 7 . It turns out that the company designed the watch used by Ethan Winters, protagonist of the adventure. The watch does not exist in the real world. The tips on Pebble's presence are there in the clock features, which are similar to a real Pebble. At the end of the game, when the credits increase, Pebble's involvement is revealed. As in all Resident Evil, there are themed - keys and key-cards scattered around the scenes. There are specific keys for each type of door, with an animal symbol - crow, scorpion or snake. They are found throughout the game. In addition, at some point, Ethan Winters needs to find key-cards, a blue and a red, to advance the story. This is also another traditional point in the series, always with colored cards for specific doors. The BSAA (Bioterrorism Security Assessment Alliance), a bioterrorism organization that appeared in Resident Evil 5 and also appeared in Resident Evil 6, has little mentioned in Resident Evil 7. The most direct reference is when we're in the main room of the Baker's house. 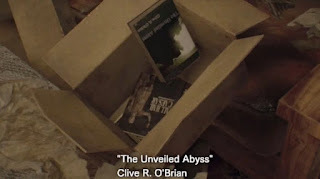 Books scattered there are seen on the set, all signed by Clive O'Brian, who was the leader of the BSAA at the time of Resident Evil 5. 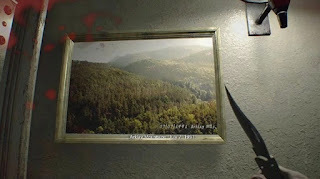 Raccoon City, the big city of the first games, is always remembered in other games in the series, and this is no different in Resident Evil 7. 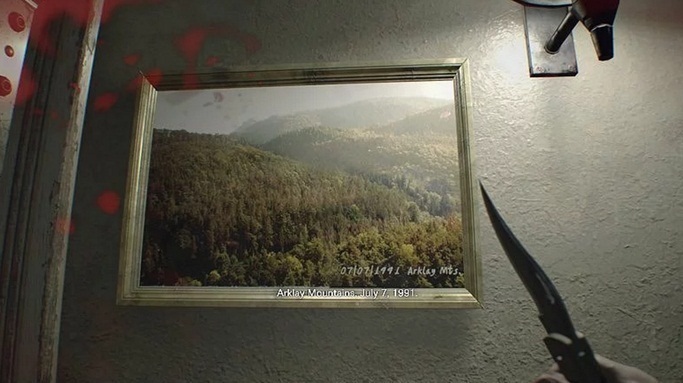 There are at least two occasions on which the reference occurs: first in the house, with a picture showing the region of the Arklay Mountains, near the Racoon City mansion. Then very close to the end of the game, the "Racoon City incident of 1996" is remembered in a newspaper that speaks of its survivors. This incident is nothing more than the zombie and biological weapons chaos that developed in the first games of the saga. The theme song for Resident Evil 7 is called "Go Tell Aunt Rhody" and played in the trailers, as well as opening the adventure, before the initial screen. This is a folk song from the region of Louisiana, the US state that serves as the setting for the game. The original song from the 50's and has been re-recorded countless times. The most curious thing is that the lyrics were modified to the Resident Evil 7 version, making it more gruesome, saying that the family referenced in the song is dead. There are two clear references at the end of the game, but they are considered spoilers for those who have not yet completed. The first of them is the participation of Chris Redfield, in the last minutes of the game, rescuing Ethan Winters of the house of Baker. Chris, meanwhile, leaves the scene inside a helicopter of Umbrella Corporations, company that prowled the series in all the games. The interesting thing is that the Umbrella symbol is blue, not red, in addition to other small details present. The reasons for the differences were not yet revealed.